A new Taco joint, Chicago Taco, is opening in place of the recently-shuttered West Town Tavern at 1329 West Chicago Avenue. 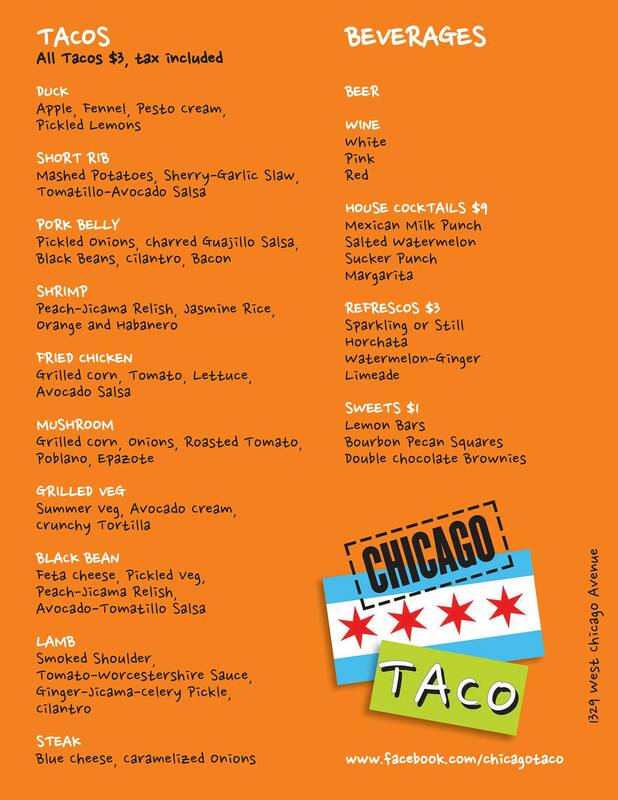 Chicago Taco opens this Friday at 5:00 p.m. The menu is below. Next Story → Wanna Enter a Wow Bao Eating Contest?